Looking at this excerpt on Palmers Lodge Zagreb’s website seems to be the deciding factor in my planning where to stay in the capital of Croatia for two nights. I wanted a budget-friendly, centrally located and friendly hostel and looking at the choice available, this seemed to be the best one. So onwards I booked through their website via Hostelworld. In my confirmed email from Palmers Lodge Zagreb, directions to the hostel from the airport was included. It was a good and simple guide that involved taking a shuttle bus to the main bus station from the airport . From the main bus station, the hostel is only 10 minutes walk away on the road that is adjacent to the rail station. Easy. During our stay here, we were very happy how centrally located the hostel was, living up to their advertisement. In a quiet area, the hostel is easily reached within walking distance to the city centre, the parks, the most famous tourist sites and certainly in this case to the main bus station where you can catch a bus to anywhere in Croatia. 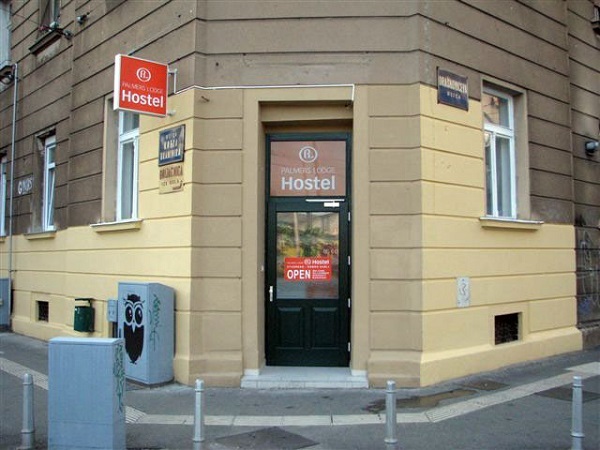 When my friend and I arrived, we were pretty pleased with the great service made by receptionist who promptly explained the hostel, showed us to our room and offered insightful and personal advice about what to do in Zagreb and beyond! We had no complaints and actually, they were so good, that with their advice, we changed our backpacking itinerary to include Pula where she was from! 1) Free Tea and Coffee – definitely needed to wake up in the morning! 2) Kitchen – Becoming a commodity these days, it’s handy to have a kitchen to cook your own meals to save on splurging on pricy meals out. 3) Secured Luggage Room – under lock and key and you can explore, safe in the knowledge that your luggage is secured before check in and after check out. 4) Travel Desk – if you’re looking to organise trips to nearby towns and of course, the amazing Plitvice Lakes, you can book trips direct in the hostel. They are also happy to organise your airport transfers as well. I stayed in a deluxe twin bed room on the newly opened part of the hostel on the 2nd floor. They was a private bathroom for our use, good air-conditioning, free Wi-Fi and TV. In my room, there was my own personal electrical outlet and reading lamp. Both of which is absolutely essential for any hostel in this day and age. I also enjoyed having a desk in my room to work on and also, a large window offering good views of the city. It was fairly quiet on our floor thanks to having our own corridor and the noise of the road and rail track was minimal. The bed was comfy and had a spare blanket should you get chilling in the night. However, I didn’t need it in the middle of the summer! The private bathroom had the standard three-piece including sink, toilet and shower cubicle. It was clean and up to standards. However, I did have an issue with the shower, which kept cutting out due to a loose stop-gap and starting up the tap that gushed out water at crotch level. The free Wi-Fi here had great connection in any part of the hostel and absolutely no problems with it whatsoever. Just a simple sign in with a password and you’re there. The advertisement was indeed correct. Palmers Lodge Zagerb is centrally located, has superior rooms and best of all, a homely service. I definitely would like to return. On that note, I would like to give this hostel 5 out of 5 stars. If you need further information, why not check out their website?